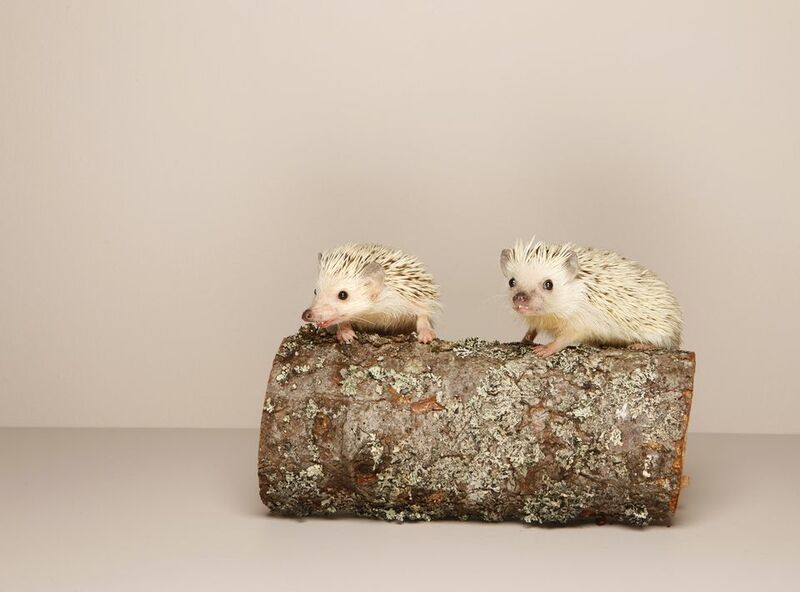 African pygmy hedgehogs have long been considered solitary, but some owners have found they can get along under some circumstances. This leads to the question of whether hedgehogs should have the company of other hedgehogs. African pygmy hedgehogs do not seem to crave the companionship of other hedgehogs, so it is fine to keep a single hedgehog. If hedgehogs do not get along, they will fight, sometimes inflicting serious damage to one another. For these reasons, it is generally best to stick with one hedgehog per cage. If you wish to try keeping multiple hedgehogs together, stick with females. Females are more likely to accept other females (though this is not guaranteed). Males are not likely to accept another male (due to competition for dominance). A young hedgehog can sometimes be paired with an older hedgehog. Male-female pairings are to be avoided except by committed breeders. Even a short playtime together may result in either a fight or a pregnancy. Quarantine any new hedgehog from a breeder or a pet store for a month to prevent the spread of disease to your other hedgehog. Keep them in separate cages, preferably in different rooms. Be sure to wash your hands well and change any clothing that came into contact with one hedgehog before handling the other one. Wash their equipment separately. Make sure they have lots of space. If keeping two hedgehogs together, the cage should be at least 2 feet by 4 feet in size. Cramped cages or any competition for food or other resources (toys, best sleeping spots, etc.) are likely to lead to squabbles. Introduce hedgehogs slowly. You'll need to at least have a temporary cage for the second hedgehog until you are sure they can get along. Put their cages side by side, so they get used to one another. You could even try swapping a bit of bedding or litter back and forth between the cages to get them used to one another's scents. Arrange a few meetings on neutral territory (e.g. out of their cages) to get an idea of how they will get along. Once you are sure they will tolerate each other, you can try them in a cage together. Once you have put them together, keep a close eye on things for a few days. Snuffling and mild nudging is OK. Be alert for squealing, which a sign of aggression and that a serious fight may occur, so separation is in order. Fighting can lead to serious injury and can even be fatal, so watch for signs of escalating aggression. Be prepared to house them separately if things don't work out. Interestingly, some owners report that hedgehogs that have lived harmoniously with other hedgehogs may show signs of depression if separation becomes necessary. While African pygmy hedgehogs can live together under some circumstances, they will also be fine if kept singly. Don't feel you have to get an African pygmy hedgehog a companion. Is It Okay to Set My Pet Rabbit Free?